Nice to see a rather unusual piece; one of the lesser seen of the "Holy Trinity"
I would have loved to present an IWC I bought via ebay (UK seller, btw). Regretfully, there was quite a bit of a difference between what was described in the ad and what I received. I sent the seller a message, hope he accepts to have the watch returned. It's a bit of a sour taste, after all the great experiences I had via the local SC. A 14060m two-liner will be with me tomorrow. I'll post shots at the weekend. I've lost some of the love I had for my beater, the Seiko Monster, so I finally decided to get a watch that has been haunting me for quite some time. 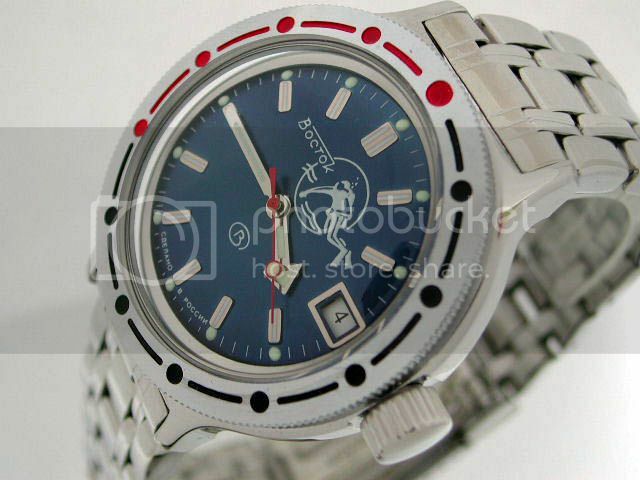 I just ordered a Vostok Amphibia Scuba Dude. Here's a pic I found online, I'll be sure to post a few of my own once I get it. I don't think it'll get to me before January. You can't go wrong with a blue scubadude, one Vostoks finest! Early pressie last week a lovely 66 5513 Gilt. My first quartz watch in nearly 25 years, arrived last week. 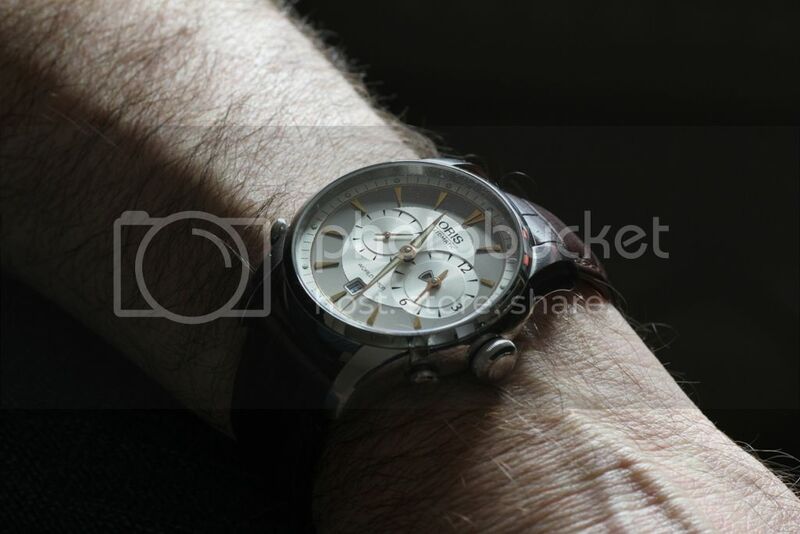 The last one was a long departed Seiko Sports chronograph, . Delighted with this watch, the titanium lightness still catches me out, it doesn't feel like a proper watch, and you certainly do not realise you are wearing a timepiece. It weighs exactly 100 grams......my only other Breitling is a Skyland Avenger on steel bracelet, which is a hefty 233 grams! I am slowly discovering the potential of the watch, the handbook is very detailed, but one pretty cool thing I have noticed is the minute hand moves in 30 second increments. My first quartz watch in nearly 25 years, arrived last week. Fab watch! 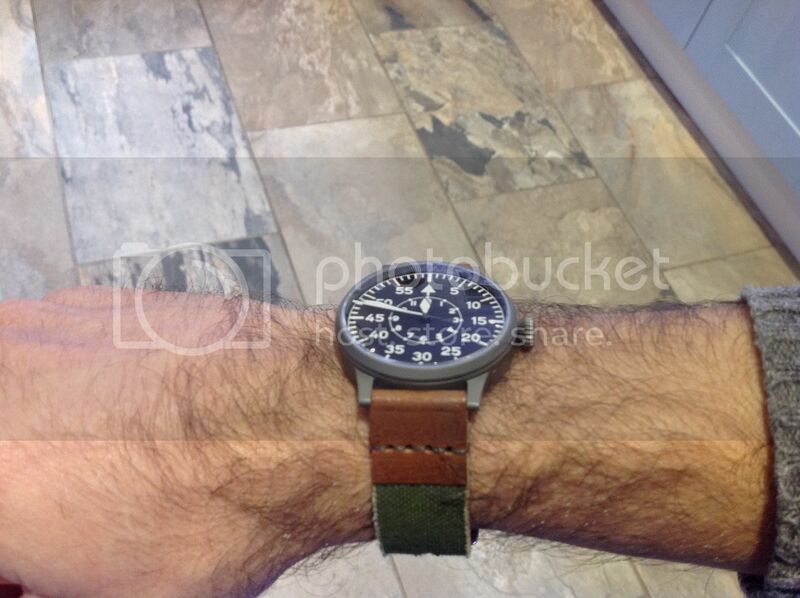 I used to have this watch (actually it was the generation before this one), and a Skyland also - a great pair to own! 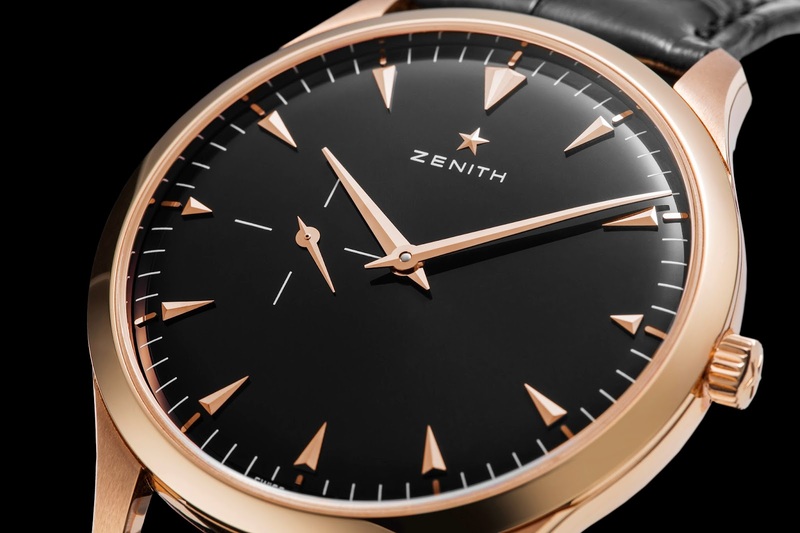 I was looking at the Evo last week with intent to buy in the not to distant future, I was gobsmacked by the weight of this watch and love the idea of a superquartz. The dial, is it blue? or is that the AR coating? Duometre Unique Travel Time in rose gold. Black, with fantastic AR coating! And as for that JLC above... wow... just wow!! COngrats! Blimey........ That's some watch, I handled one on the JLC tour.... I just couldn't take my eyes off it. Very very special. What a beauty! Showing it here is against thread rules, sort of. This one most certainly does! Last edited by Possu; 14th December 2014 at 14:49. Guess I should have used a smiley, didn't mean to sound serious... I'll edit one in. I do hope to see more pics of that one. The dial is black, but it does look blue-ish in my picture, probably due my poor camera skills and or the AR coating. It is a very clear dial in all light conditions, certainly an important consideration as my eyesight continues to fail!!! 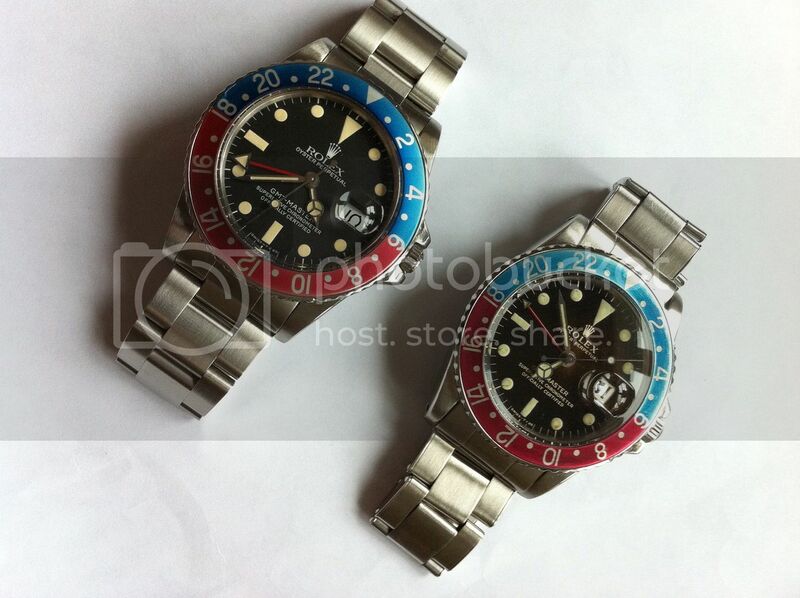 This one (the one on the left)....an old (& not very good) photograph of a lovely watch that is about to return to me. Anyone recognise it? I'm patiently awaiting the arrival of my B Day present which should be arriving early next week. 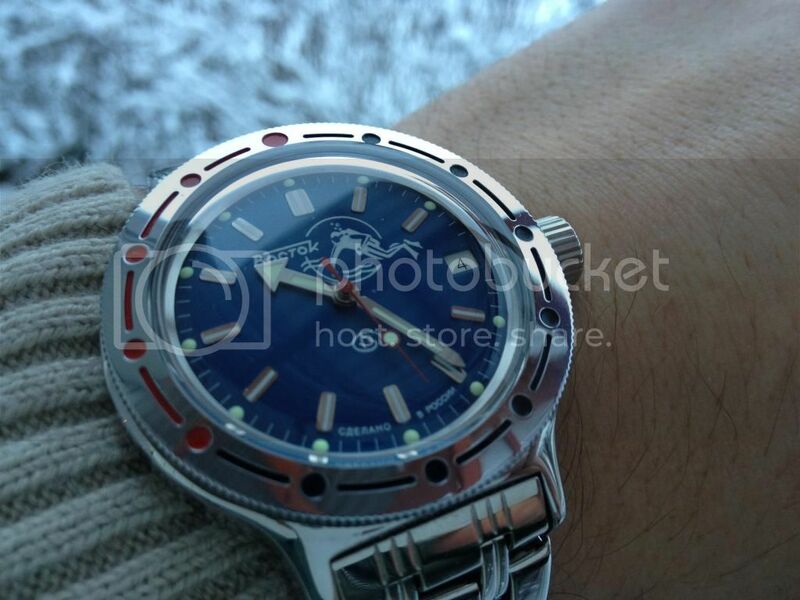 Have wanted a blue dialed sport watch and ran across an uber cool Ltd Edt Zenith Defy Sea for sale! Looking forward to seeing it in the flesh soon. Last edited by DoxaDavid; 14th December 2014 at 16:14. That my man, is gorgeous, never seen or heard of this model before. I own the standard Defy Classic HMS which is a lump of a watch at 44mm across, your incoming (according to a quick Google), is 46mm it seems which would probably be too large for me to get away with. 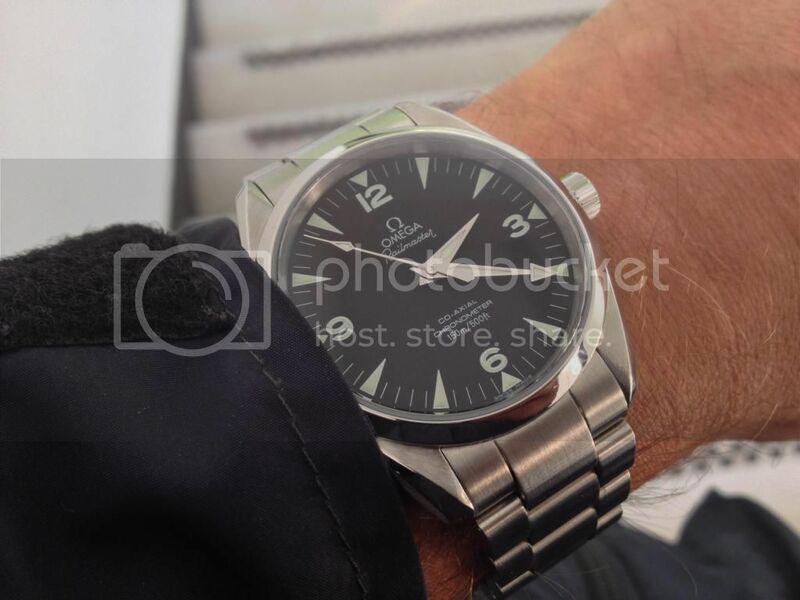 Are the numerals superluminova or polished metal? 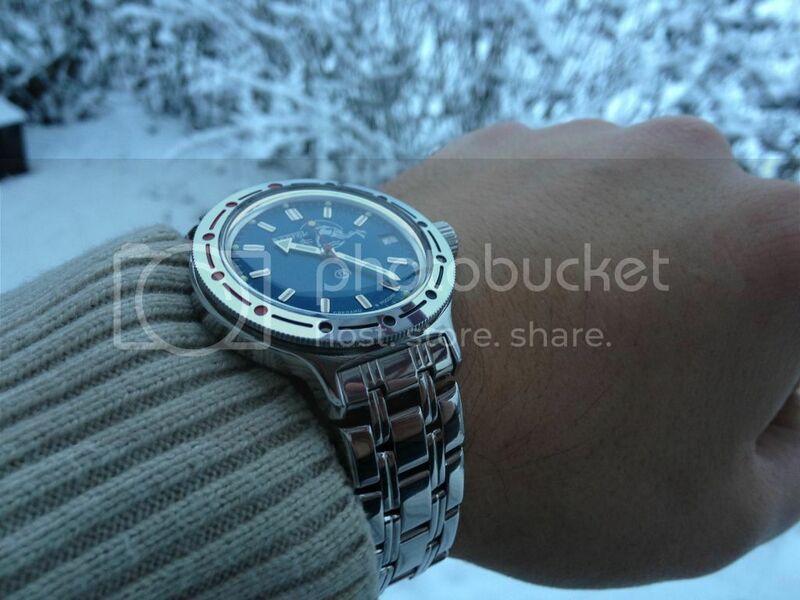 Please post pics of this watch when you have the time. Last edited by acour_jeroen; 18th December 2014 at 21:45. Bought one of these for my upcoming 50th. Thanks guys it's not while august but couldn't resist. Know to find a decent engraver. Seems to be floating but deserves the odd bump! A great idea as there's already so many incomings we may not have seen otherwise. If people have the time to do a more extensive write up in a separate thread then great, but if not it's nice to see a quick shot here, it makes you realise just how much is going on behind the scenes. ...And finally into the open! Well the time came to finally give the latest arrival an airing, it had been sat in the box for a month or so awaiting the right opportunity. I know there are some on the forum who cannot understand relationship dynamics (or who are Alpha Males and do as they please), but I have to display caution when wearing new watches! Here is the Speedmaster Mark II 'Rio 2016'. Love that - super retro! Like having a vintage watch but with all the benefits of brand new! Fantastic! I love the gold, silver, bronze. Subtle yet effective. I wanted a closer look in Cheltenham today but just didn't have time, i often look at it through a window. Enjoy. 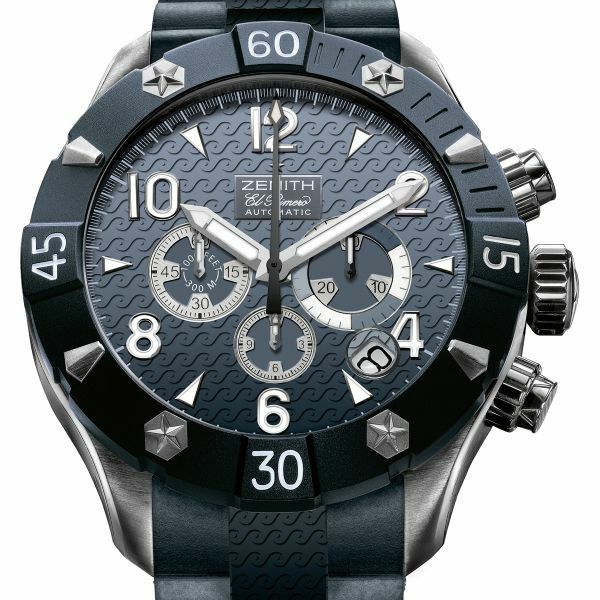 I am chomping at the bloody bit here I'll post pics when I get it but I am on hold for a Luminox ANU 4200. It's sitting under the counter till I in all my excitement can chill out and come up with another 250.00. Lol I will have it in a week or so. But that's my only incoming for the next week but I do have my eyes on a neat custom diver that came up for sale recently. Sp maybe 2 in the next few cheers all merry Christmas. Well, I wasn't expecting this one. A classic case of working right up to Christmas Eve with a cold, and feeling like I deserved a medal of some description. 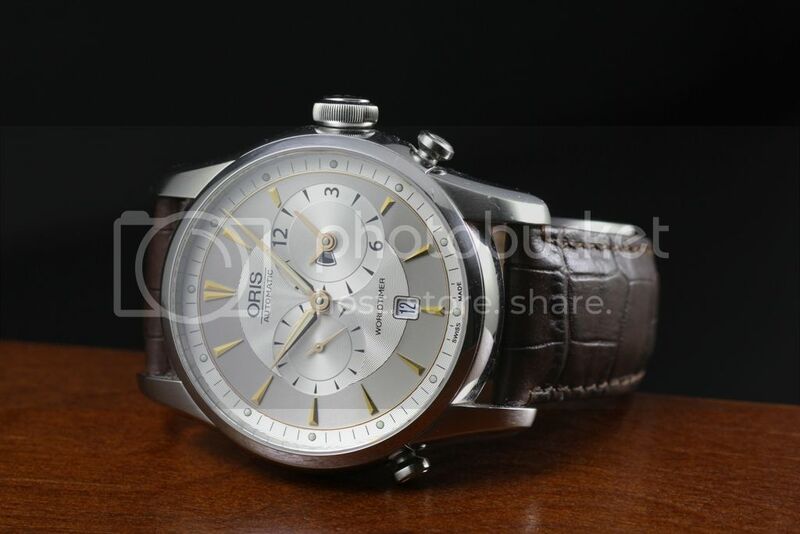 But even then, I was going to pick up a little GS Quartz SBGX055 from Japan, until the import costs pushed the price up through some kind of psychological barrier, and the irresistible gravity of the 16570 Explorer II started to pull me in. What really swung it for me was just how well this perfectly proportioned, classic 40mm model wears on a slim 6.5" wrist. 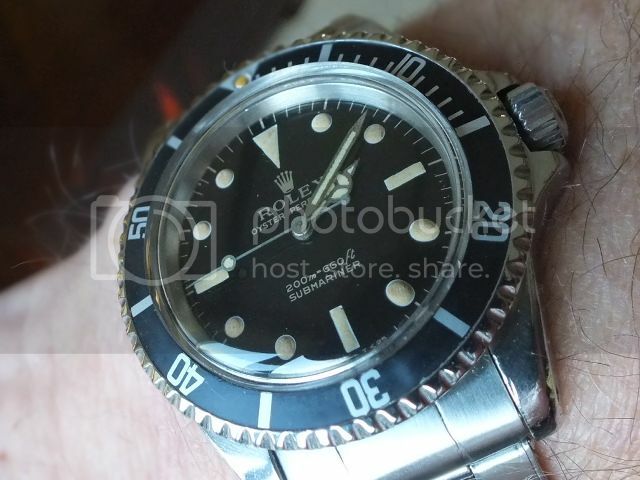 I narrowed it down to drilled lugs, Oyster-lock clasp and black dial (not that there's anything wrong with any other combination), and before I knew it, one had found its way onto my wrist. I guess you've all seen a 16570 before, but here's mine. All right, my Scuba Dude has arrived. It did in fact arrive well in time before new year's eve, but I got around to shortening the bracelet only yesterday. Two weeks from the order I had the watch in my hands and there were the long christmas holidays too. Pretty good IMO and I'm happy with Chistopolcity.com's service. Well, I've finally succumbed to my yearning for an ana-digi, and after posting a WTB for either an X-33 or a B-1 ended up buying one of these instead! it lands tomorrow. Last edited by learningtofly; 5th January 2015 at 13:29. Somebody been copying your photographic 'style'? Or maybe they'd just run out of 50p pieces too!